Since then I have switched many patients from the bad valsartan to losartan or valsartan from presumably safe manufacturers. It didn’t really occur to me that this could be just the tip of the iceberg until I received a reader comment which I will copy below. As I thought about it, I realized that I have no idea where the generic ramipril I am taking is manufactured. It very well could be in China or India. This recent article from The Epoch Times confirms that Americans are becoming more and more reliant on medications manufactured in China and that many researchers feel this poses a significant security threat. The Food and Drug Administration (FDA) is inspecting only a small number of the Chinese companies that manufacture U.S. drugs, and those it does inspect are often found to have serious health violations. Meanwhile, the drugs that are making their way into the United States from China, either as finished products or as ingredients, are often falling far below U.S. safety standards. And some of these drugs are not being inspected at all. The book, “China RX: Exposing the Risks of America’s Dependence on China for Medicine” by Rosemary Gibson and Janardan Prasad Singh,” details the problem. This is horrible. We have a problem in the U.S. It is the infiltration of Chinese generics. I had no idea that this generic was being supplied by a Chinese maker. In fact, the bottles I got said “SOLCO” which is based in New Jersey. Now I’m painfully aware that SOLCO Healthcare US which is based in New Jersey, is owned by Zhejiang Huahai Paarmaceutical based in China’s Zhejiang Province. So this is the Chinese company’s subsidiary distributing this drug in the U.S. China has a long history of selling tainted products in the U.S. Chinese drywall, lead-based paint on toys, tainted pet food, etc. Now it is important to understand that 85% of prescriptions filled in the U.S. are generic. And insurance companies will not pay for brand when generic is available. My valsartan was about $30 for 90 days. Diovan is $750. I get it. But when these companies cut corners and people are endangered, something is wrong. I will never ever take another generic drug without first finding out where the product comes from. I know this is not perfect, but it is something. I think the U.S. lawmakers need to do something to make this information more transparent. It baffles me as to how this drug could have been tainted with a highly toxic chemical for so many years (they now say 4 years). This chemical is known to cause liver damage and cancer. Apparently the manufacturer changed the way it made the active ingredient which created this poison by-product. And now who do we hold accountable? How do we get to the bottom of what went wrong, and how to prevent this going forward. We have no way to compel anything in China. All that said, thanks for your information here it is helpful. I worry that the losartan is made by the same company – I will surely investigate. China is also flooding the American market with useless OTC medications. I realized this when I looked closely at this “motion sickness patch” which is highly rated on Amazon. 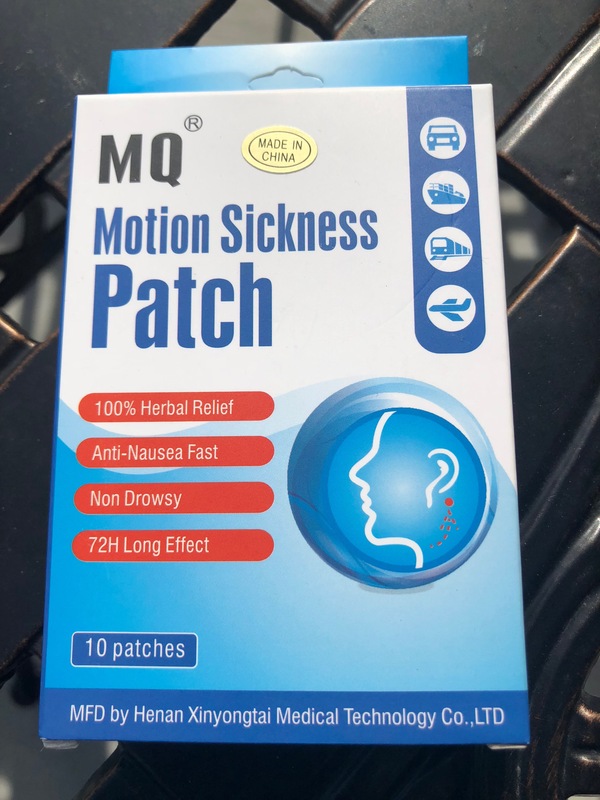 It has no active ingredient which could be realistically thought to treat motion sickness yet is featured on Amazon’s motion sickness treatment section and is favorably reviewed by over a thousand users. Unfortunately, in the US now users of medications must be very aware of the source and quality of the products they put in their body. Generic prescription medications and OTC products are highly likely to be manufactured out of the US and with minimal oversight. Addendum: I have a more recent post which includes additional recalls here.